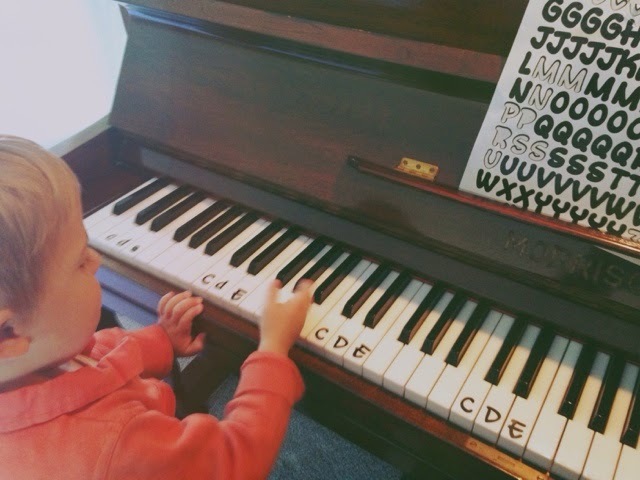 -Got out our alphabet stickers and began labeling the notes– all the C’s, then all the D’s, etc. As we did this, I showed him out all the C’s sound the same, and so on with the other notes. 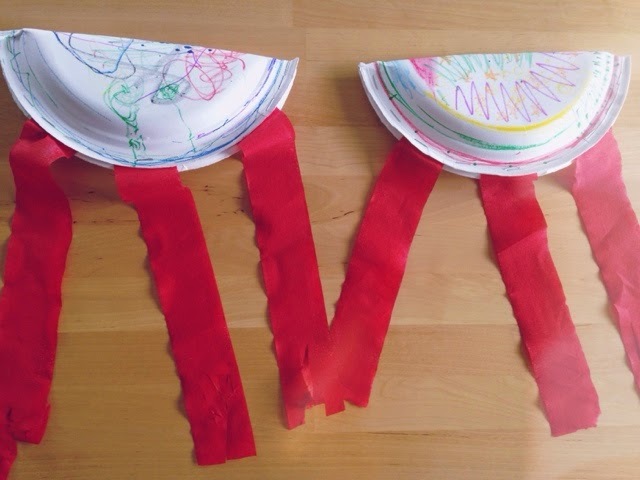 -Listened to Paul Simon’s Rhythm of the Saints while we coloured and decorated our paper plates. Drummed on our plates along with Proof, listening for the loud and soft parts. -Filled our plates with rice and beans (one of each) and stapled them shut. -Had a dance party to Coast, Frantik (WWMT), and Happy from Despicable Me 2. Shook our shakers, twirled (“Look, woom turning!”) and ran around. -Listened to Paul Simon’s Gumboots, and watched a video of gumboot dancers, since earlier Scout Kid had been drumming on his rubber boots. While we did this, Scout Kid also practiced cutting on the streamers with his little scissors.